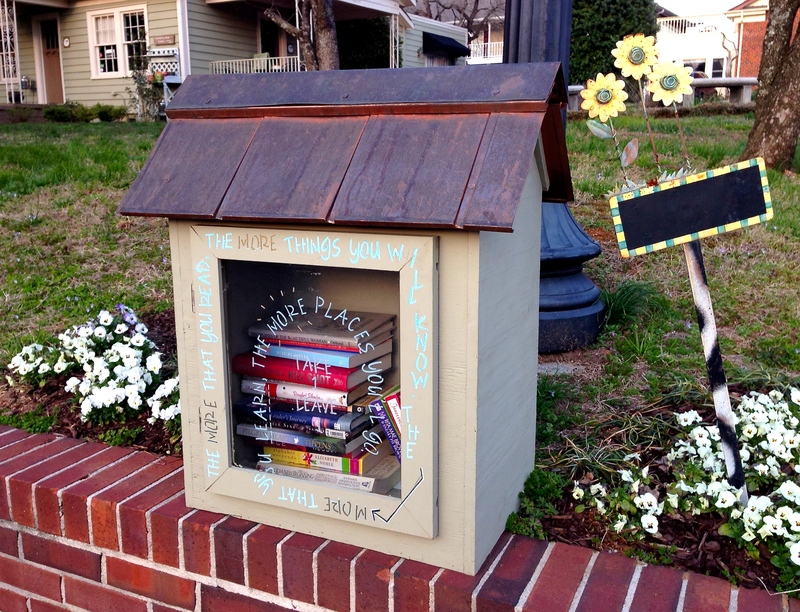 I’ve heard about these miniature lending libraries, but I’ve never seen one before. H and I encountered this one while strolling through downtown Roswell the other evening. What a cool idea!